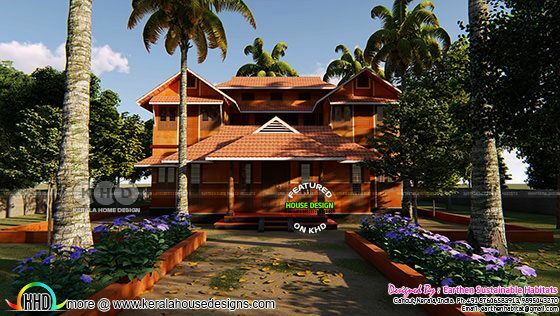 Introducing a new design firm to KHD viewers, Earthen Sustainable Habitats from Calicut, Kerala. 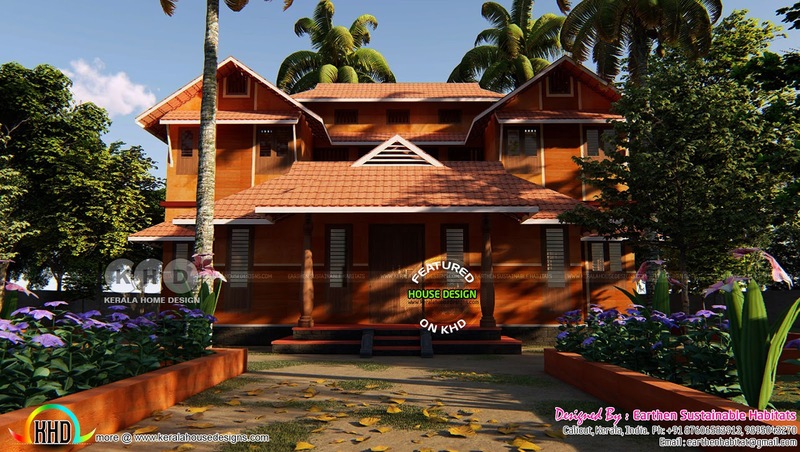 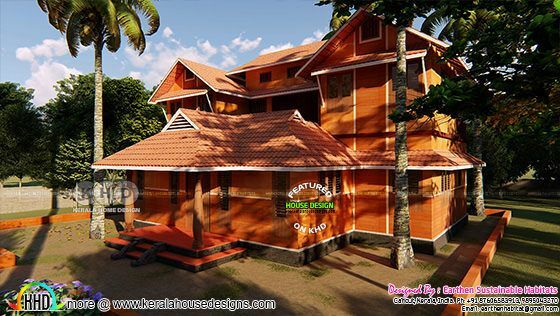 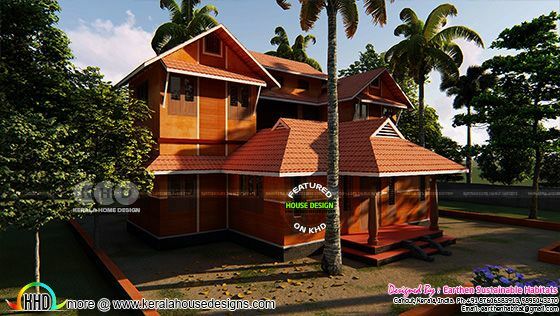 Presenting Floor plan and elevation of 1846 Square Feet (171 Square Meter) (205 Square Yards) 4 bedroom Kerala style home design. 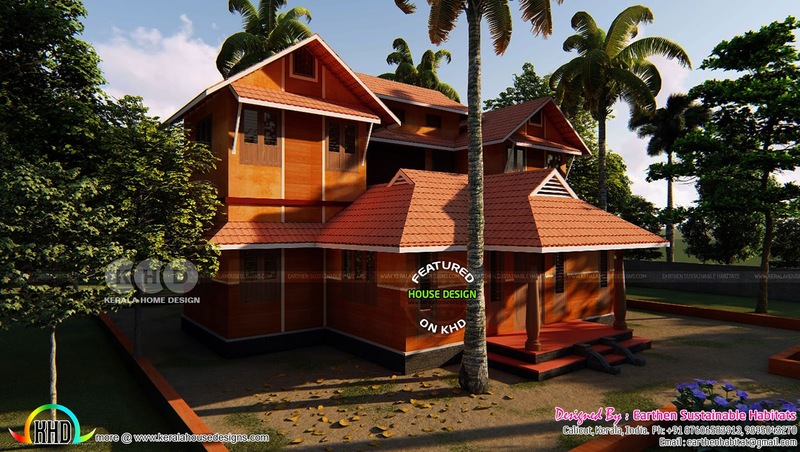 Ground floor area : 1320 Sq.Ft. 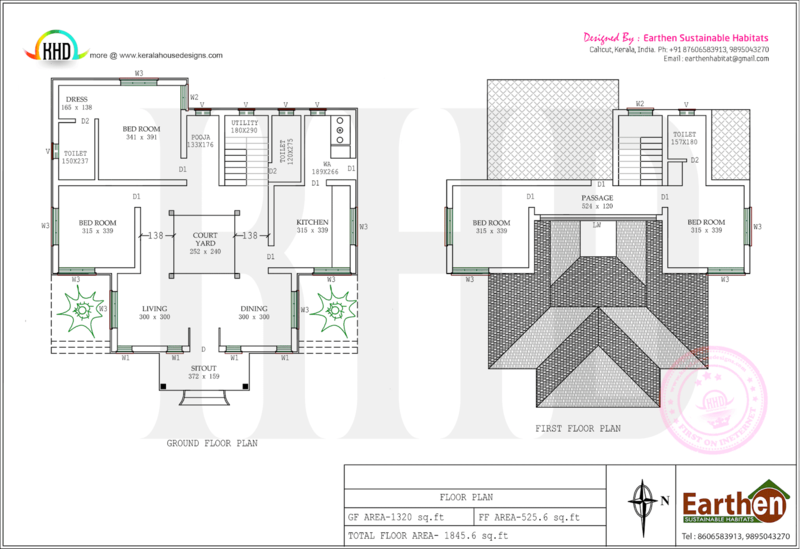 First floor area : 525.6 Sq.Ft. 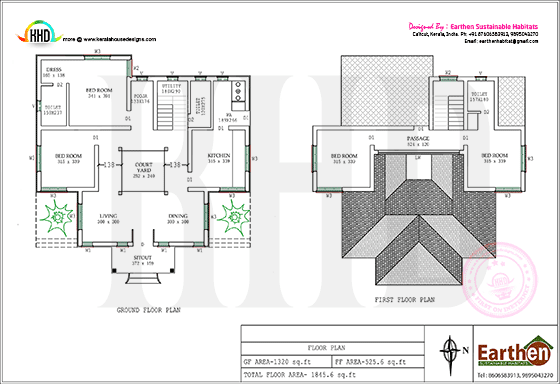 Total area : 1845.6 Sq.Ft. 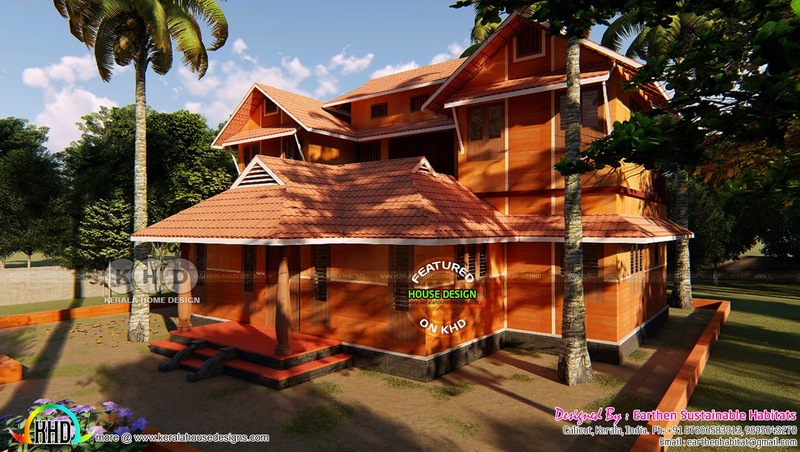 0 comments on "Sustainable House Design by Earthen Habitat "